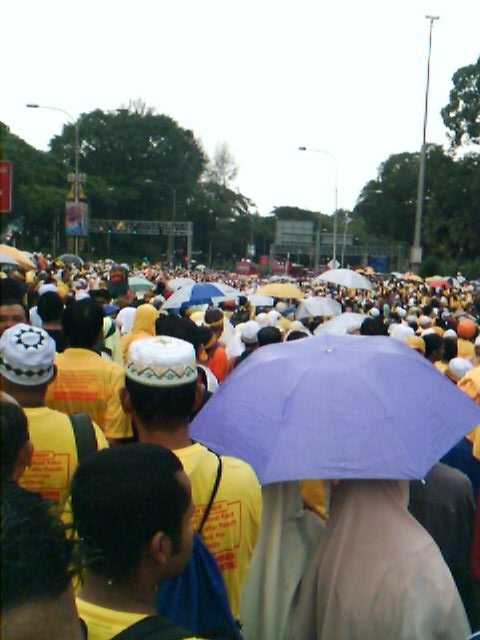 "If they (the Opposition during the Bersih rally on Saturday) can gather 10,000 people, the Government through Barisan Nasional can gather even more people. "But what is the use if such demonstrations only lead to the possibility of ruining what we have built for the country?" he said. I wasn't there because of the opposition. I was there because I could see that the country needs a change and what they have built so far are shame, corruption, stupidity, and ruining freedom and democracy.